Jacob Abusharkh is the Managing Principal and co-founder of The Kase Group (TKG). TKG specializes in the sale of single and multi-tenant net leased retail and industrial assets across the country. Prior to going independent of SVN, TKG was one of the top producing offices in the Sperry Van Ness Organization (SVN) nationwide and continues to lead the marketplace as an independent brokerage. Mr. Abusharkh has been involved in the brokerage of over $3 billion in assets since joining 2004. Mr. Abusharkh attended the University of San Francisco (USF) majoring in Finance. As an alumnus, he has returned as a guest lecturer at USF for undergraduate classes. 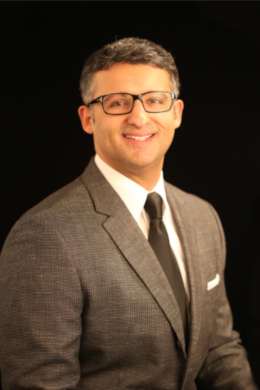 With over 15 years of expertise, Mr. Abusharkh specializes in net leased real estate, and has experience with other product types including apartments, land, office and hospitality investment properties. As Managing Principal of TKG, he handles day-to-day management, marketing and company growth. Along with his brother, Kase, Mr. Abusharkh founded the Kase, Jeannine, and Jacob Abusharkh Fund at Stanford Medicine, which will support future research on kidney transplantation, a cause held close to the members of the Abusharkh Family. Mr. Abusharkh lives in San Francisco with his wife Grace who works in Museum Education for the City of Palo Alto’s Art Center and Jack, their first child born in 2017. Aside from work, Mr. Abusharkh loves his family, football, and traveling.